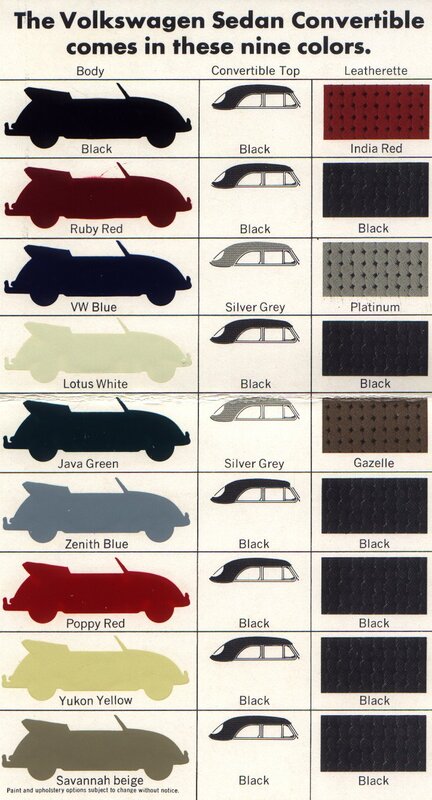 One thing we get a TON of emails about here at 1967beetle.com is color combinations. It seems everyone wants to know what the correct combo is for their vintage pride and joy. 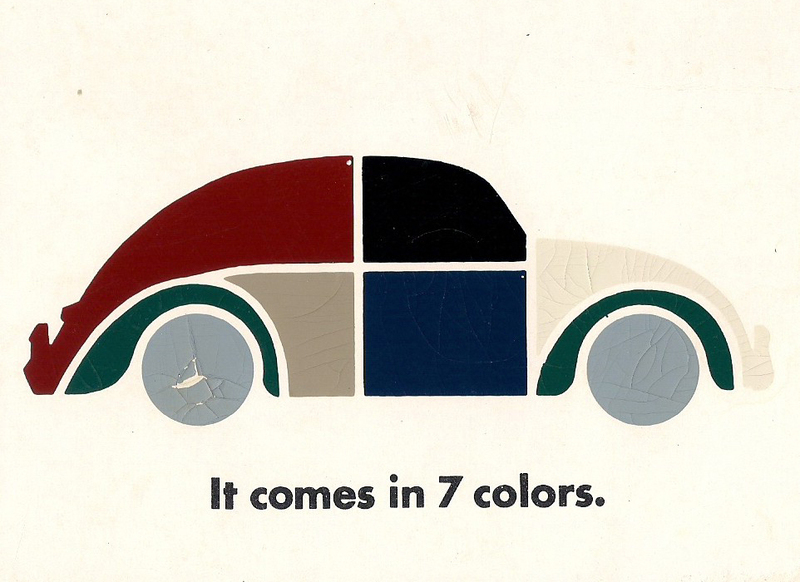 The ’67 Beetle comes in 7 colors. You can download this factory literature below if you’d like. It was submitted by fellow VW enthusiast Jody Sauvageau. convertibles came in yukon yellow also. Very true! I guess this information is focused on the Sedan. Yes, one could get a 67 convertible in any of the above colors, but Yukon Yellow(L19K) was strictly reserved for the ‘verts. 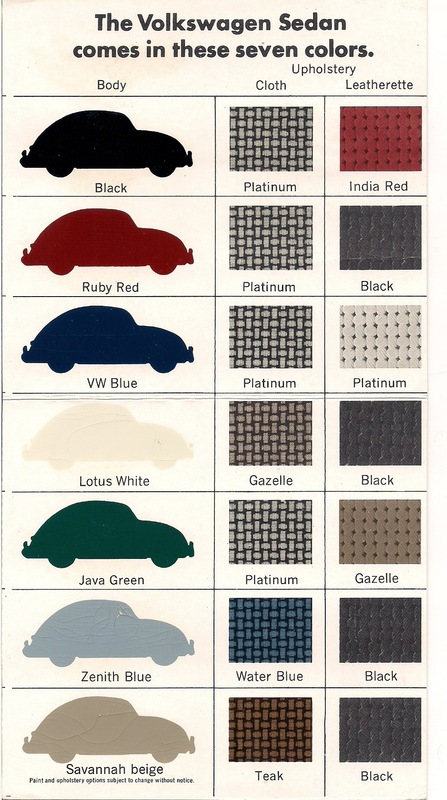 Also, this brochure is USA only sedans, as Fontana Grey(L595) was a 67 color for markets other than USA. Just another fun fact for the site. Great addition to this article. Thanks for mentioning again. Can you tell me what the script is below Savannah Beige? Thanks for the color combos…..cool facts! Also, I just fixed the back end where the images are able to scale up. If you click, you can see a more detailed view. I’d say you guys get the biggest thanks. 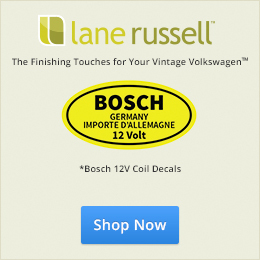 1967beetle.com would not be where it is without your contributions.